Today I have another review. 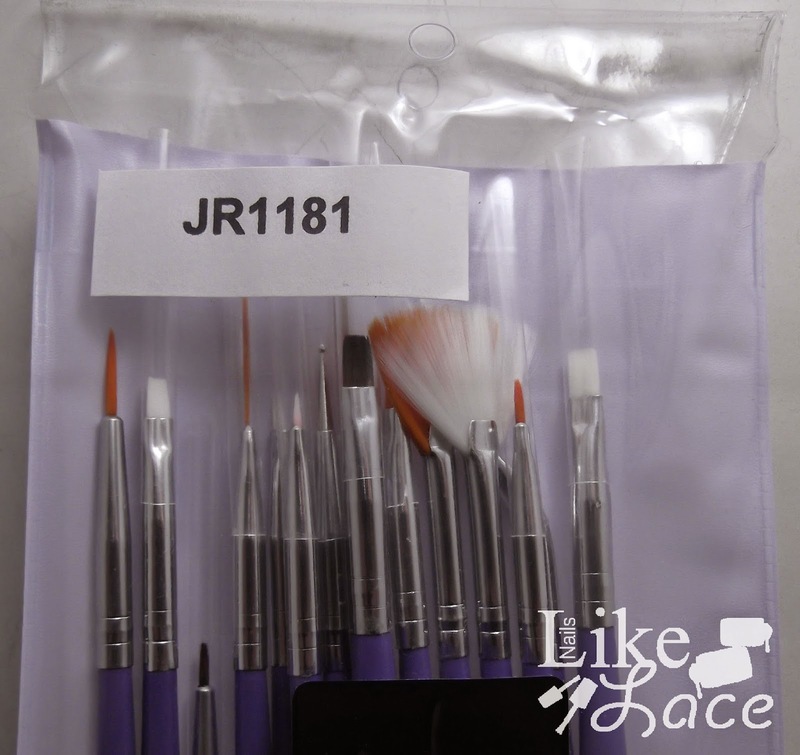 This time, a 15 piece brush set from KKCenterHk. I tested out just a few of the different brushes. 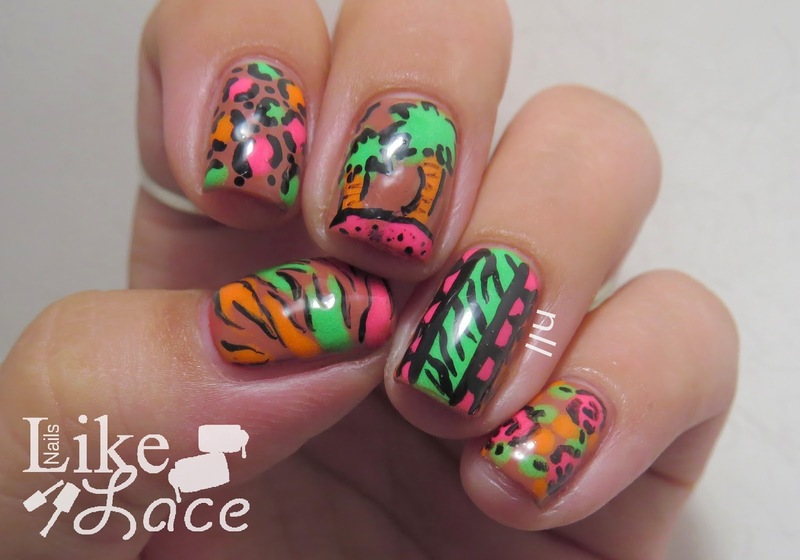 Here are the ones I used for this mani: a couple of small detail brushes, two striping brushes, and a dotting tool. 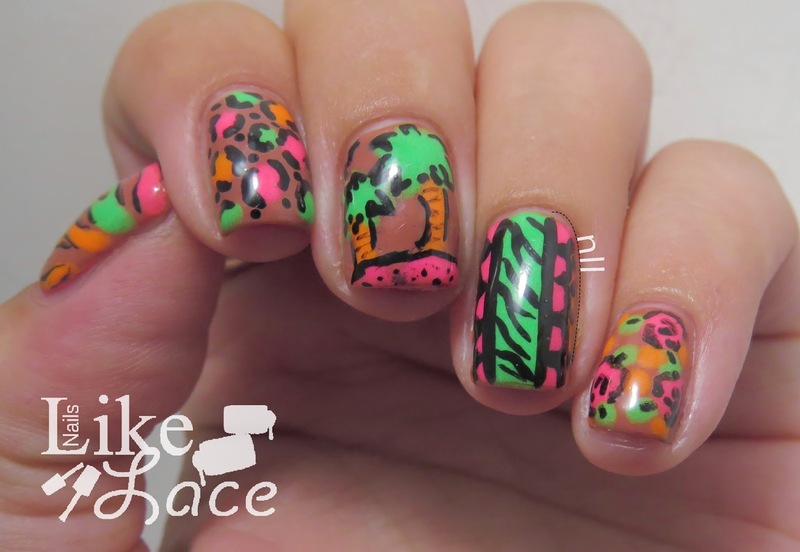 For my mani, I just did a big neon skittle of different prints, and palm trees! 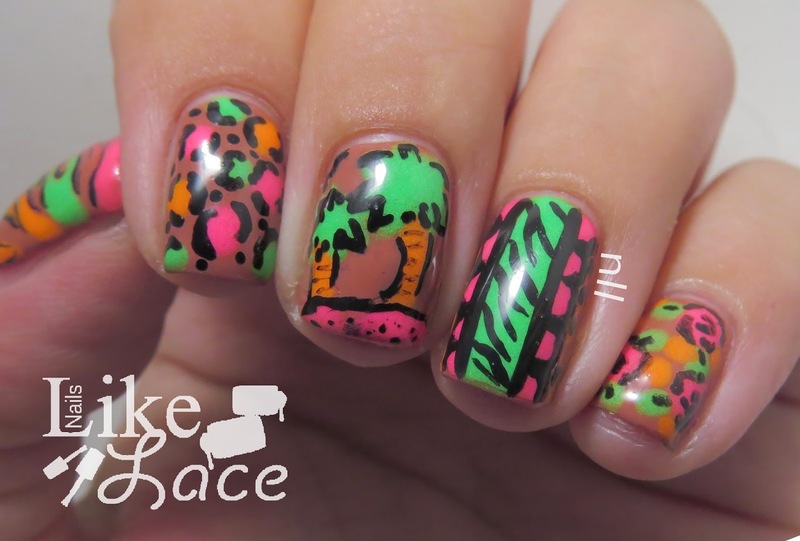 I used the top brush and dotting tool for a lot of the roses, leopard print, and coloring in, the striping brushes mainly on my ring finger, and the angled detail brush for the palm tree trunks and pink sand. 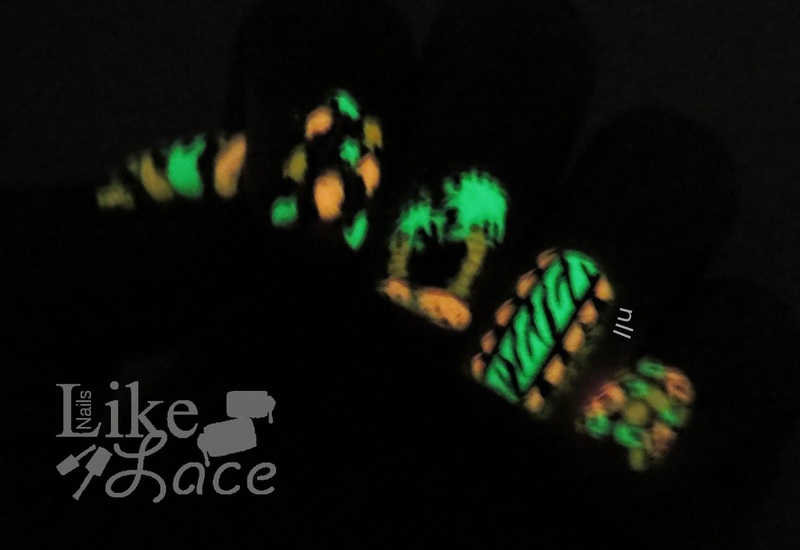 I used a nudeish background color, and the best part, the neon paints on top all glow in the dark!! Even though none of the nails really go together, I absolutely love how this mani turned out! It looks so awesome in daylight and in the dark! The brushes did well for what I needed. The striping brushes made nice, thin lines and they all held plenty of paint. According to the website, they say "please do not use nail polish remover to clean brush pen, after each use just shampoo / shower gel wash with warm water". No ma'am. I'm not really sure how I am supposed to use them in nail art, and not clean them with polish remover. 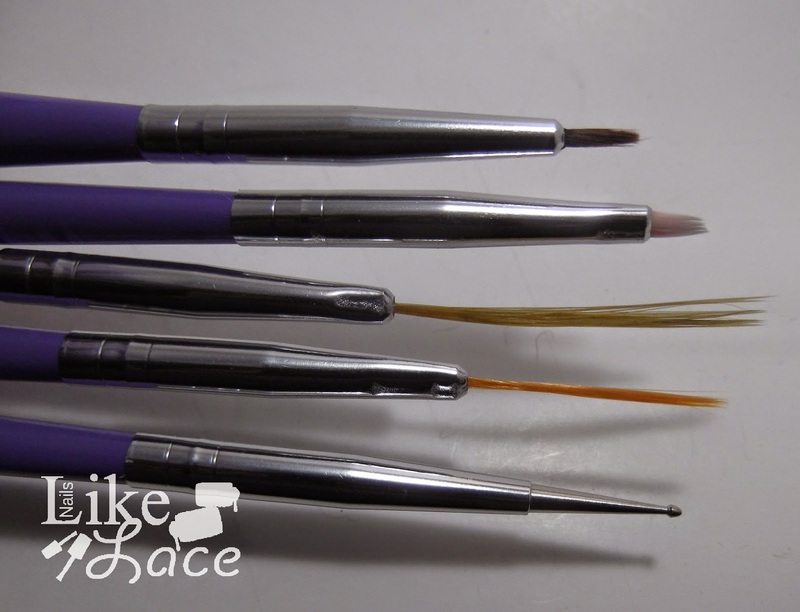 The brushes are synthetic, so they will dry out and fray over time. I have been able to make brushes like this last for about two years, though. So at $6 USD for the whole set, that really isn't bad. NLL is my coupon code for an additional 10% off if you order anything.